Residents of a community in Oyo State have tied a local charm “juju” on their electric pole to scare off officials of Ibadan Electricity Distribution Company from disconnecting their electricity cable. The Senate of the Federal Republic of Nigeria, on Tuesday, resolved to open investigation into Nigeria’s oil manager, Nigeria National Petroleum Corporation, (NNPC), over N5.1 Trillion collected on subsidy between 2006 and 2015. Rapper To Tour UK, Release Mixtape "Birth Of The Boychild"
Rapper Saeon Moruda with the 87swags imprint is to head to the UK in a promotional tour of her singles starting with the remix to single 'Aii' due out soon and her "Birth of The BoyChick" - The Mixtape Album. The Nigerian Army has again warned Amnesty International against issuing reports attacking the Nigerian military in the country’s war against insurgency and insecurity. Did Reno Omokri Just Call Amaechi A Monkey??? The Nigerian Senate has summoned the foreign affairs minister Geoffrey Onyeama to explain what the executive arm of government is doing over the xenophobic attacks on Nigerians in South Africa. Former President, Olusegun Obasanjo says that his generation has failed Nigeria. The first set of Nigeria-assembled Toyota cars will be rolled out in a couple of months, The Punch reports. The president of the Nigerian Senate Bukola Saraki revealed during plenary on Tuesday, February 28 that the confirmation hearing for the chief justice would be held on Wednesday. This year's Africa Magic Viewers Choice Awards is less exciting than it has been in past years.There has not been much publicity on the side of the organisers, most of the nominees haven't been all over social media unflaggingly canvassing for votes. It's almost like they don't trust their nominations. But, it's fine, we don't trust the nominations too. 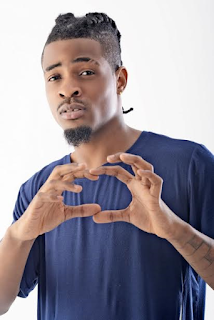 Popular Nigerian Singer's House Reportedly Gutted By Fire! Banky W's home has reportedly been destroyed by fire.The EME boss is reported to have lost properties worth millions of Naira as fire gutted his Lekki home. The Ekiti state governor Ayodele Fayose has cautioned the Igbo people not to rely on the words of former president Olusgeun Obasanjo. Nollywood diva Omotola Jalade-Ekeinde turned 39 on February 7, 2017.The actress is currently enjoying a birthday get-away in an undisclosed location. She shared this shot of herself in a Jacuzzi with lighted scented candles surrounding the bathtub. The National Universities Commission (NUC) has approved the take-off of Aeronautical and Astronautical Engineering Degree programme at the Kwara State University (KWASU), Malete. Recall that the Naira had gained 40 points to trade at N460 per dollar rate from N520 on Friday, February 24, a rate it has maintained. Two Chinese men, Taolung Shen and Xu Jing Yao have been arrested in Lagos for allegedly importing fake and substandard tyres into Nigeria. The Nigerian police in Lagos on Sunday, February 26, arrested 23 suspected persons, who allegedly hijacked a petroleum tanker laden with 45,000 litres of diesel. The Economic and Financial Crimes Commission, EFCC has urged the general public to be good and patriotic citizens by reporting any money deposited mistakenly into their various accounts. President Muhammadu Buhari has spoken to the Katsina state governor, Aminu Bello Masari on phone. This was disclosed by the governor when he granted an interview to the VOA Hausa. "We Survive Better During Recession"
A cross section of the dwellers in Lagos said that they were better poised to survive the high cost of food items being experienced in cities. 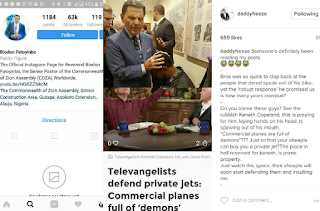 COZA Pastor, Biodun Fatoyinbo has blocked OAP, Freeze after he called him out over the bike he posted on his page and reminded him to give an update on Ese Walter's case as he promised. About 43 Nigerians were deported from Germany, Belgium and Italy on Thursday night for immigration offences and unruly behavior, the National Emergency Management Agency (NEMA) has said. A witness in the ongoing trial of Emmanuel Atewe has told the court that the defendant gave N35 million to Living Faith Church popularly known as Winners' Chapel out of N8.5 billion. Senator Dino Melaye has blamed the civil servants for hampering the impact of the change promised by the ruling All Progressives Congress (APC) through corrupt practices. The Rivers state governor, Nyesom Ezenwo Wike has relieved the state commissioner of health, Dr Theophilus Odagme of his appointment. A new film produced by Omoni Oboli, titled, Okafor’s Law focuses on how certain basic factors affect marital relationships, especially in a developing society. The film, which has generated a lot of attention from Nigerian viewers on social media since the trailer was released a short while ago, also examines the impact of physical intimacies and material wealth on such relationships. Due to hit the cinemas across Nigeria in March, the film parades some notable Nollywood stars, including the likes of Richard Mofe-Damijo, Tina Mba, Halima Abubakar, Toyin Abraham, Blossom Chukwujekwu, Gabriel Afolayan, Ufuoma McDermott, Kemi Lala Akindoju and Yvonne Jegede, to mention a few. Still struggling to shrug off a hangover induced by his brief stint in government, Mofe-Damijo proves that he is still relevant in Nollywood by posting a convincing performance in the movie. There was commotion at the Federal university of technology, Minna, Niger state after some students of the institution reportedly set ablaze the clinic on Bossom campus. President Donald Trump of the United States of America, has promised to deal “very strongly” with North Korea. In the spirit of the Valentine Season, Countless Dreams Entertainment act - Milly Kay drops​ a new tune dubbed "Totori", for your listening pleasure. Following the skidding-off of a a tanker loaded with petrol, resulting into a fire, 2 persons are feared dead and some others feared injured at Coconut under bridge, along Apapa road, Lagos state. The Nigeria police has again invited the publisher of Sahara Reporter's Omoyele Sowore for a meeting on Monday, February 13 at the State Criminal Investigations Department(SCID) in Lagos. The prices of medicines have doubled in pharmacies since the federal government imposes a 20 per cent tax increase on imported medicines. Acting President Professor Yemi Osinbajo will be in Imo state today, February 14, for a one-day working visit barring any unforeseen circumstances. Former Super Eagles captain, Joseph Yobo and wife, Adaeze yesterday, Monday 13th welcomed a baby girl. The whistle-blower in the EFCC's operation against a former managing director of Nigerian National Petroleum Corporation (NNPC) has said that more safes are yet to be recovered. Daily Nigerian reports that the whistle blower stated that Andrew Yakubu hid four, not one, safes in strategic places. 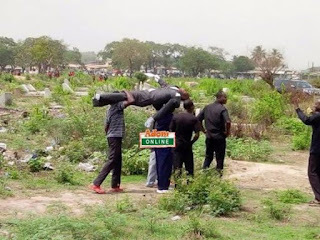 On Saturday, February 11, 2017, there was a commotion at the Tema Community 9 Cemetery, when a Mortuary attendant with Tema General Hospital stormed the burial ground to seize a dead body over an amount of GH¢40 (N3K) balance for the services he rendered. Last Sunday, February 12, 2017, the Nigerian Twittersphere had a meltdown over whether former Nigeria First Lady, Dame Patience Faka Jonathan, should seek election into the Nigerian Senate in 2019. CoCoIce became the third housemate to leave the Big Brother Naija show on Sunday, February 12, 2017. But this comes after she was watched breastfeeding Bassey during a game of truth or dare. Obi Of Onitsha Planning To Sell Biafra??? The Indigenous People of Biafra has accused the Obi of Onitsha Igwe Alfred Achebe of plan to sell Biafra out to the British government.